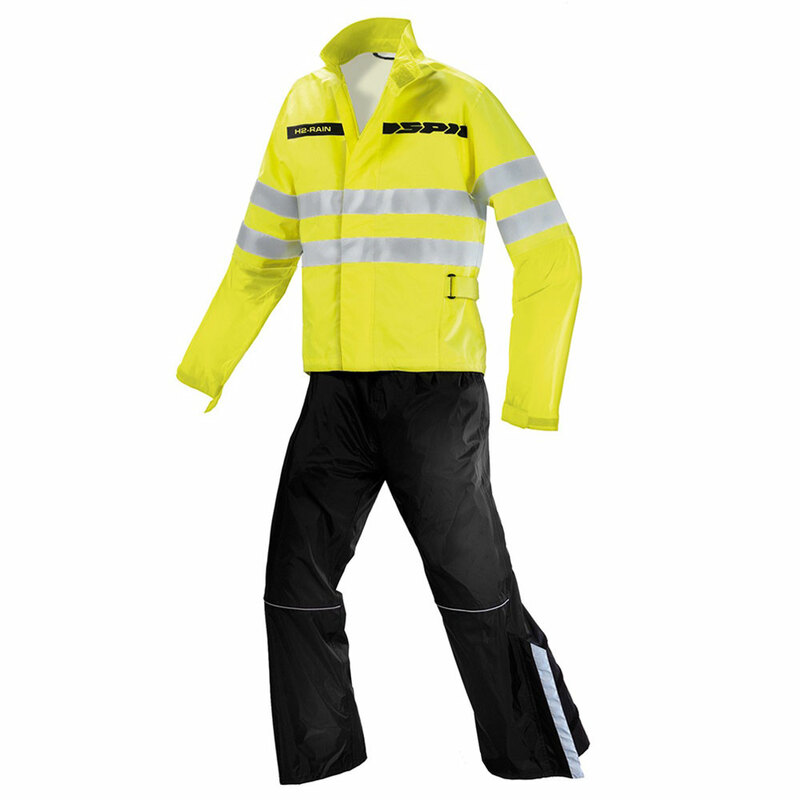 A waterproof kit featuring wide reflex strips and certified CE En471 high visibility material. A wide range of volume adjusts (torso, waistline, calves area, neck) help limit the flapping effect, even at moderately high speeds. This item is sold inside its practical pouch.